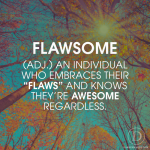 Are you willing to Be Flawsome? I will be transparent and say I got this idea from one of my mentors, Darren Hardy, from his DarrenDaily.com daily emails. If you are not already a subscriber I highly recommend you check them out. Now back to today’s topic – Be Flawsome. 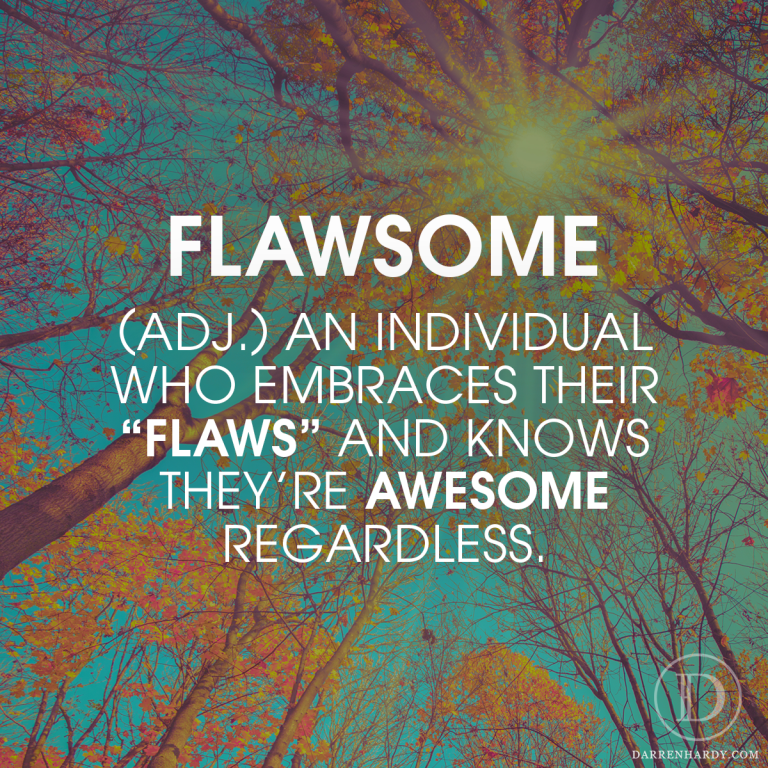 This is one of the most important things a good entrepreneur need, the self awareness to be flawsome. None of us are perfect, we each have some flaws. The key to success is not to dwell on these flaws and focus on them non-stop. The key is to embrace the flaws and enjoy them and not let them define us. Think of every person you know that you think is awesome. I guarantee every single one of them has flaws. Every one. Without exception. But you still think they are awesome. Why? Because you choose to focus on what makes them awesome instead of the flaws they have. If you can do this for others, why cant you do it for yourself. Choose to be flawsome!!!! Know you are awesome. Embrace it. Stop focusing on your flaws. Just celebrate you are awesome. I have my flaws: I am short, not in ideal shape, get angry quickly sometimes, not always as focused as I could be, etc. So, I am still awesome. I am, I know I am, I have no doubt I am. So I choose to be flawsome, it is much better than just focusing on my flaws.